Finally the summer is here. The temperature is getting higher, and for Exposure, these are exciting times. The program first:exposure is a few weeks old. This is our first newsletter! Our internship program, first:exposure, is designed for graduate students who want to enjoy the summer by doing what they love the most—digital marketing, while at the same time they’re building their resumes. The first:exposure program is focusing a lot of energy on our client, Athena’s Treasures, an online-only store that offers handmade Greek jewelry to high end customers. This summer, several teams of digital marketing interns from NYU are tasked with the Athena’s Treasures website. There will be a presentation of each team over the course of the program. So look out for some exciting background stories. Meet Team Pinterest: Helen and Viola. They are working to make sure that Athena’s Treasures get the maximum exposure to the highly popular visual branding platform. Pinterest users are 88% female, middle to high income, and have a higher spend than Facebook user. Helen and Viola’s tasks are to manage the pins of Athena’s Treasures in order to build its brand awareness, engage customers, drive traffic to the online store, promote its product and eventually increase sales efficiently and effectively. Some tactics include: generating audience, engaging with other member’s pins, broken link maintenance, joining and engaging in popular multi-user boards, creating and maintaining new boards, and so on. 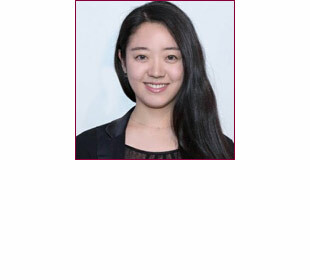 Helen is a NYU Master’s student in Marketing with various work experiences in top Chinese financial institutions and a series of student leadership experiences. In addition to being a digital marketing specialist she also interns as a business management and marketing intern at Project Soulmate. Viola is a graduate student at New York University majoring in Integrated Marketing. Her solid academic background in Marketing and Economics combined with a determinant attitude makes her a valuable team member of Exposure. She enjoys getting hands-on experience and collaborating with the digital media team to plan and execute initiatives such as competitive research, social media audience generation, content promotion, keyword monitoring, and hashtag research to meet clients' needs. Exposure is looking forward to continue working with Athena’s Treasures and each and every one of the interns over the summer. Newer PostOur weekly digital marketing internship intros: Meet "Team Analytics"